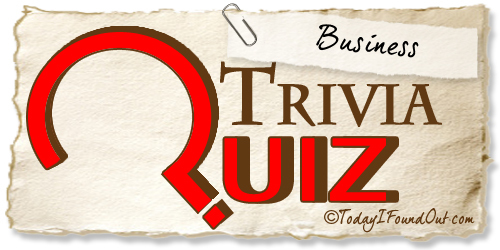 What fast-food chain founded in 1964, was named for brothers Forrest and LeRoy Raffel? Arby's stands for RB--Raffel Brothers. What was Henry Ford's first mass-produced car called? The model N which sold for $500 in 1906. With what product did the term "brand name" originate? Whiskey producers branded their names on the barrels they shipped out. Prior to 1953, what product was advertised with the slogan, "Just what the doctor ordered"? What do the initials S.O.S. stand for, in the brand of steel-wool soap pads used in washing dishes? What was the only product ever promoted by Elvis Presley in a television commercial? The commercial for Southern Made Donuts, that aired in 1954 featured Elvis Presley..
Elizabeth Taylor marketed a perfume. Can you name the scent? In 1985 a Denver hotel published an ad offering guest a "Free Hotel Room" in large type. What was the catch in the fine print below? Breakfast is $45 dollars & mandatory. Guests had to sit through a one hour sales pitch. Parking was $55 a night and mandatory. How many miles per gallon did the 22-horsepower, 4-cylinder Model T Ford get when it was introduced in 1908? In what year was the first American car sold for export? In 1893, an Olds gasoline steam carriage was shipped to Bombay, India, for use by the branch office of a British patent medicine company. That's not bad! Not good either! But not bad too! Wheeeeee!!!! We bow to your brain and sometimes even think PG-13 thoughts about it... only sometimes though.